Home Nederlandse geschiedenis Geheimen van het Binnenhof Who am I? 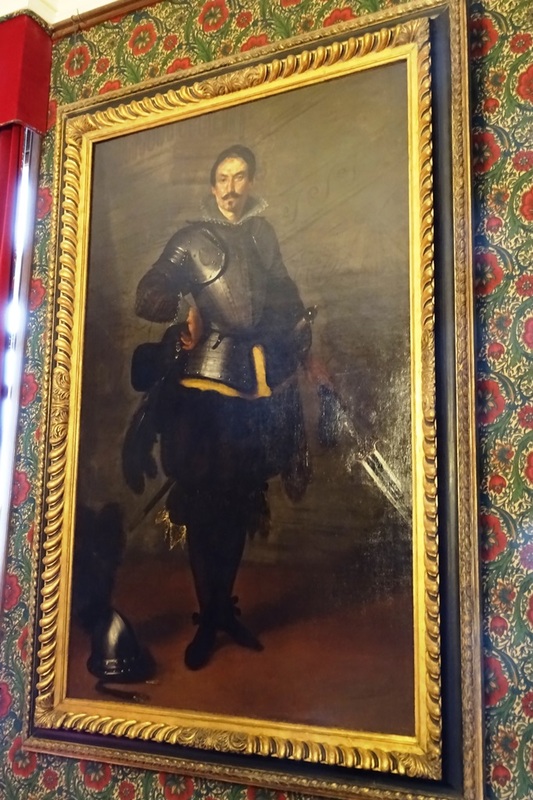 On a wall in the foyer of the Dutch Senate on the Binnenhof in The Hague, we can find a painting of an unknown man-at-arms. The painting is over two metres high and has been there since 1963. The painter is unknown as well. According to art historian Marion Bolten, all that we know is that this work was presumably executed in the first half of the seventeenth century in Italy or Spain. Bolten gave this information in the book Huis van de Senaat (House of the Senate), which was published by the Senate itself in 2014 (the pocket version can be found here). The fact that we do not know who the man-at-arms and the painter are, is somewhat unsatisfactory. Who can help shed some light on their identities? 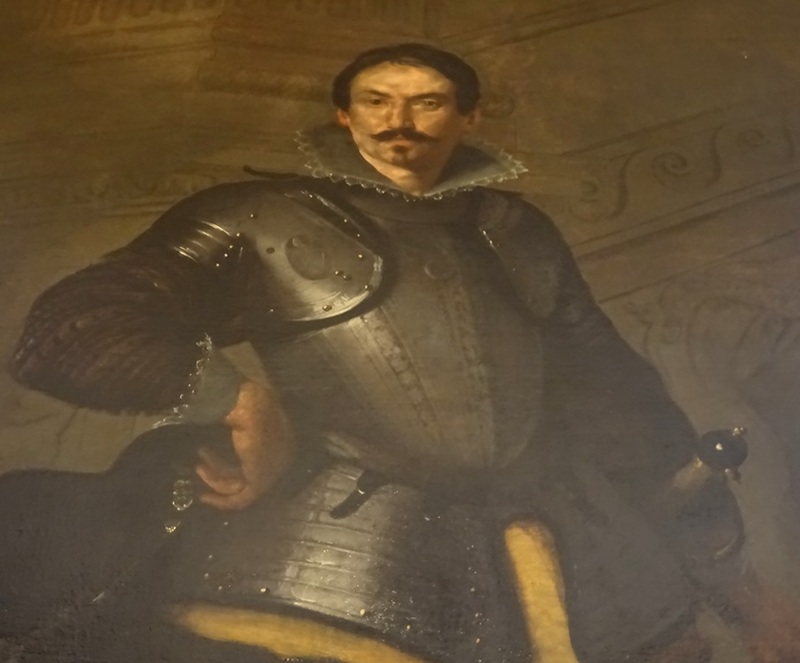 If the painting was indeed – as has been claimed – executed in Italy or Spain, it is fair to assume that the man-at-arms is an Italian or a Spaniard. We can see that the man is wearing a cuirass and britches. He has an elegant collar above his cuirass. The man is holding a plumed hat in his right hand and he carries a sword on his left hip. In his left hand, he is holding an edged weapon. This is presumably a short pike, also known as a spontoon, a type of weapon that was carried by officers and non-commissioned officers. We can therefore assume that this warrior is not a common soldier. On the ground in front of him lies a helmet, which is also plumed. The background is rather dark and vague, and we can barely see the contours of a building. A historian who recently visited the Senate remarked that the painting reminded him of the work of Spanish painter Diego Velázquez (1599-1660). Velázquez is, for instance, known for his portrait of Pope Innocent X. Any information that can help us identify the man-at-arms and the painter is most welcome, so that in a possible new edition of Huis van de Senaat, this mystery can be solved. If you have any information, please leave a reply below. There is a reward – in the form of a luxury edition of Huis van de Senaat – for the person who provides solid information that leads to the identity of the painter and/or the man-at-arms!